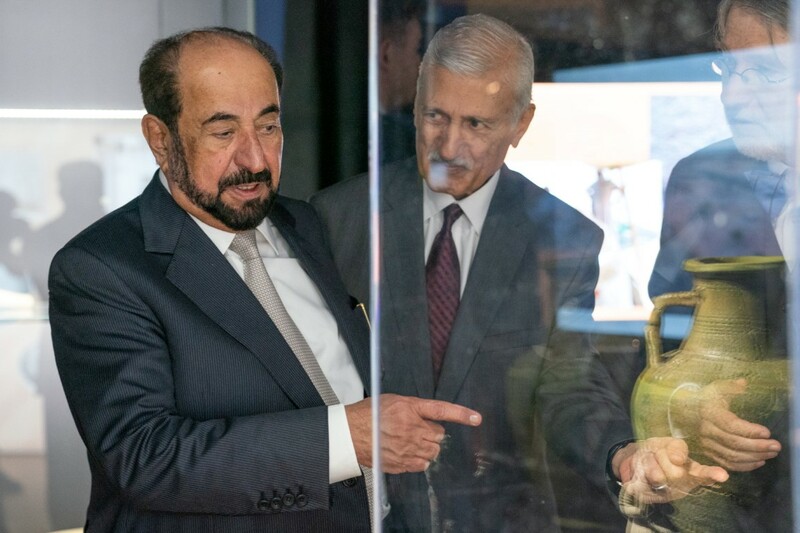 BRUSSELS, 8th November, 2018 (WAM) -- H.H. 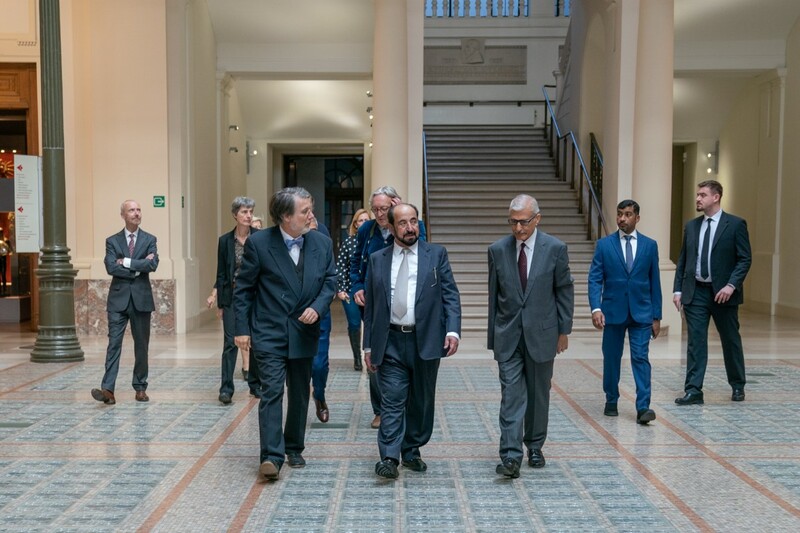 Dr. Sheikh Sultan bin Mohammed Al Qasimi, Supreme Council Member and Ruler of Sharjah, inaugurated Thursday at the Royal Museums of Art and History (RMAH) in Brussels, "Mleiha Exhibition Arabian Kingdom on the route of Commercial Convoy", which will continue until the end of December. 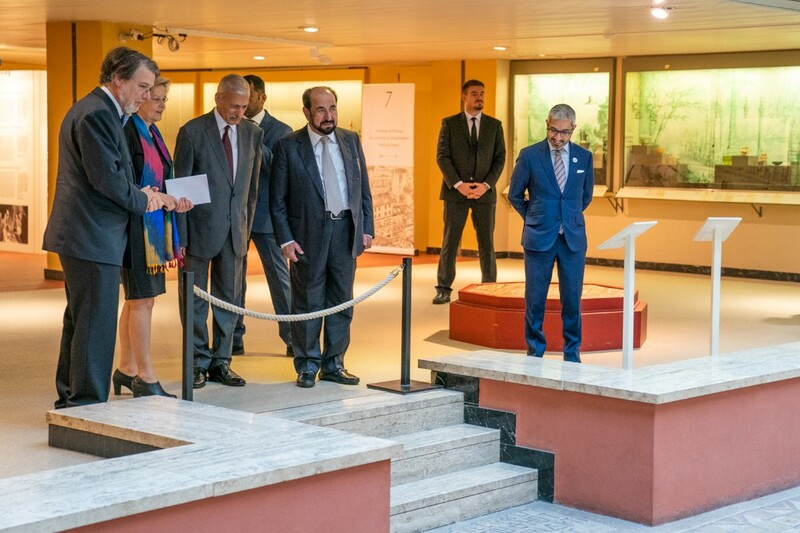 The exhibition is organised by the Sharjah Archaeology Authority (SAA) on the occasion of the tenth anniversary of the start of the excavation works of the Belgian Archaeological Mission in Meliha. 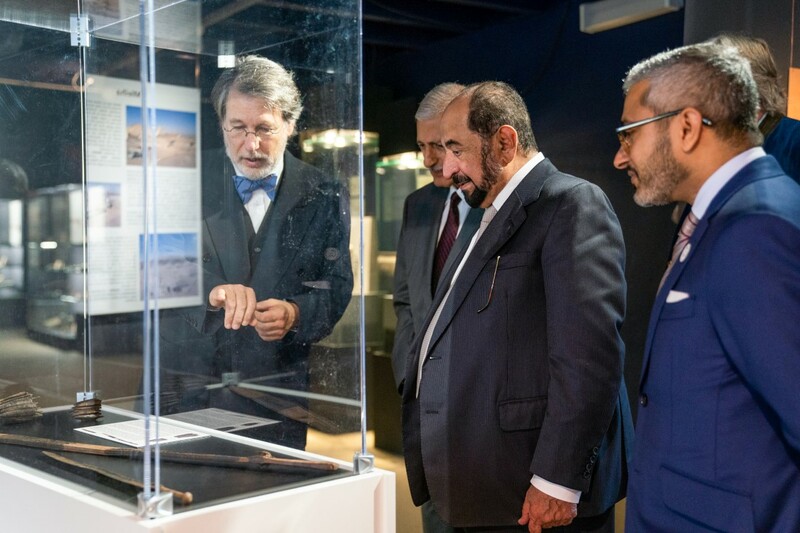 His Highness toured the exhibition and inspected works on display, which constitute 32 different ancient pieces from Mleiha, including pieces of architectural elements, geometric inscriptions, coins, some pottery, glass and stone utensils, and a collection of silver and bronze jewelry, gilt horses and camels’ equipment, and iron weapons that varied between swords, arrows and spears, in addition to holdings and commercial goods that confirm the important commercial history of this region. 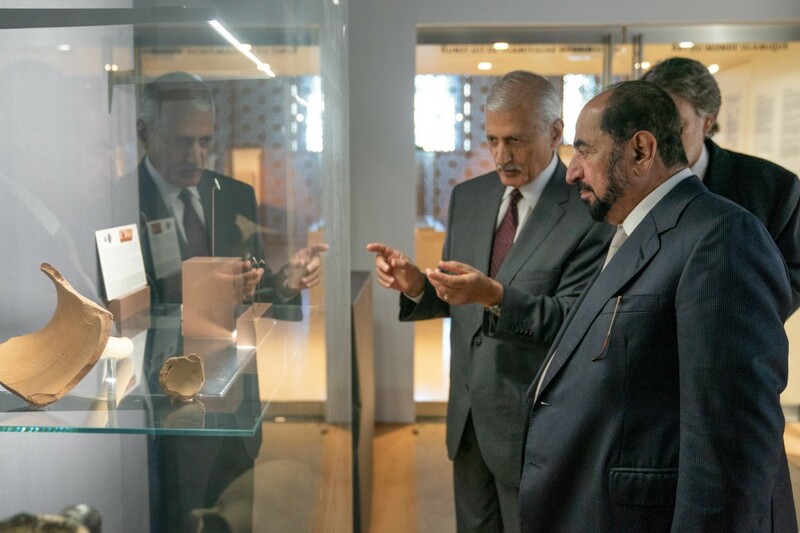 The opening of the exhibition comes in the context of introducing one of the most important archaeological areas in the UAE, which still reveal the findings and treasures of materials dating back to different ages and periods in the history of the Arabian Peninsula, where these artifacts translate into a rich and fertile economic and social life in periods of rise and fall, and need continuous research work to fill many time gaps. 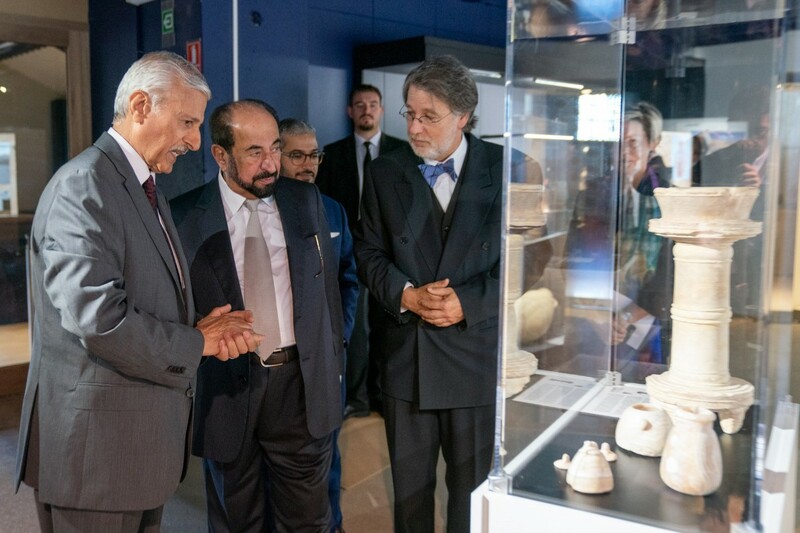 It is noteworthy that Mleiha strategic location in the southeast of the Arabian Peninsula contributed to the emergence of prosperous societies between the third century BC and the third century AD, and was an important station for the passage of commercial convoys. Mleiha also played a vital economic role in the link between East and West and North and South of the Arabian Peninsula, up to Mesopotamia in Iraq, Persia, the Indian subcontinent, Egypt, and the countries around the Mediterranean Basin. 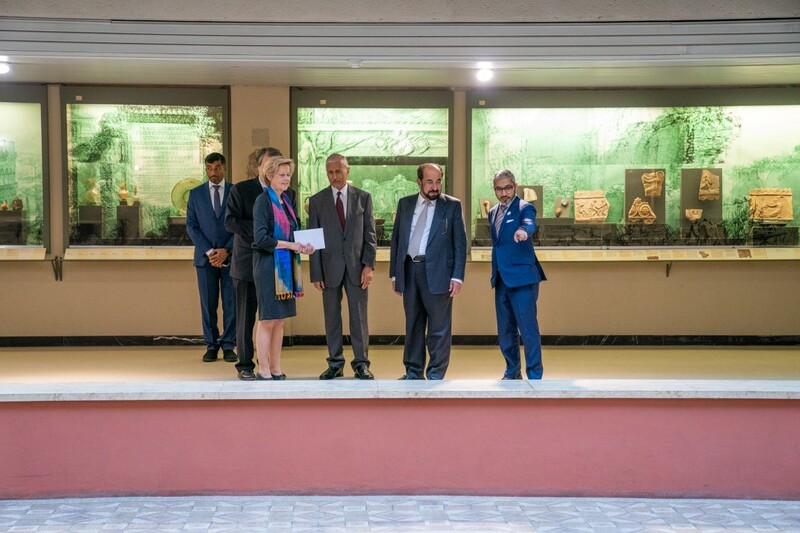 Present at the opening of the exhibition along with His Highness the Ruler of Sharjah were Mohammed Issa Al Suwaidi, UAE Ambassador to the Kingdom of Belgium; Dr. Sabah Abboud Jassim, Director-General of the Sharjah Archaeological Authority (SAA); head of Royal Museums of Art and History in Brussels; director of Archaeology Museum in the Royal Museums in Brussels; and Prof. Dr. Bruno Overlaet, Head of the Archaeological Mission in Mleiha.